While it’s common for people to represent themselves in small claims court or civil proceedings, it’s not a wise move for you to represent yourself if you’re facing a criminal charge, such as an OVI/DUI. If you choose not to hire an OVI attorney in Delaware, Ohio, it’s important to understand the risks of doing so. While the cost of hiring a skilled OVI lawyer in Delaware, Ohio can be high, it’s well worth it because a lawyer can prevent you from having to face a myriad of fees and harsh penalties. Even if it’s your first offense, the penalties are severe. If you’re convicted of OVI, the penalties you may face include the loss of your driver’s license, expensive fines, and even jail time. You’ll also be required to pay court costs and increased car insurance rates. Another potential consequence of an OVI conviction is loss of employment. Your ability to secure employment and housing in the future could also be affected if there is an OVI conviction on your permanent record. Without an experienced OVI attorney by your side, it’s difficult to know about all of the defenses available to you. Laypersons simply aren’t knowledgeable about the numerous defenses that can be incorporated into an OVI/DUI case. There are many court rules and an extensive body of reported case decisions that could impact how an OVI defense proceeds. Seasoned OVI attorneys spend a lot of time examining the rules, procedures, and court decisions for OVI/DUI cases so that they can make the most informed decisions when handling your case. Another reason why experience counts in OVI/DUI cases is that experienced attorneys are familiar with local court procedures, judicial tendencies, and prosecutor policies. This enables them to defend DUI charges more effectively. Successfully handling an OVI/DUI case also requires a lawyer to be knowledgeable about the scientific principles behind the breath and blood tests used to measure BAC levels. If an OVI/DUI case proceeds to trial, a lawyer will be better able to present the defense in court than someone with no such experience. Individuals who represent themselves in court for an OVI case are held to the same standards as attorneys, so it’s difficult to compete. Prosecutors often have extensive experience prosecuting OVI/DUI cases, so drivers who try to defend themselves against DUI charges are at a disadvantage and often fight an uphill battle. If you’re facing an OVI/DUI charge, don’t hesitate to get in touch with an OVI attorney in Delaware, Ohio. 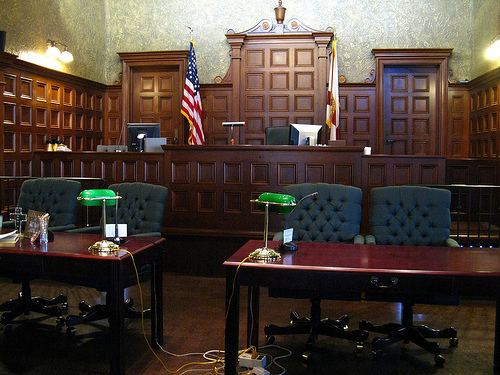 Criminal courts are notoriously harsh and prosecutors are unsympathetic. An OVI lawyer in Delaware, Ohio can assess your case and help protect your rights. An attorney who is skilled in representing individuals facing OVI charges could question whether there is sufficient evidence to convict you or secure a favorable settlement of the charges on your behalf. Contact The Maher Law Firm today for a free, no-obligation consultation to discuss your case. We represent clients facing OVI/DUI charges throughout Central Ohio.